Peppermint Essential Oil helps improve the condition of the scalp by cleaning away dead skin. It also helps stimulate hair growth. Rosemary Essential Oil stimulates the scalp to promote hair growth. It may also delay the graying of hair. It can also aide in cleansing hair follicles, increasing circulation to the scalp and all this can lead to stronger and thicker hair. Jojoba oil is similar to the oils found in your skin. It is moisturizing. 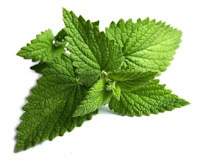 It is used mainly as carrier oil and because of its waxy consistency it can help seal in moisture. 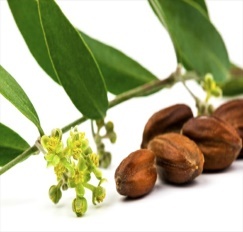 Jojoba oil has antibacterial properties that help control bacterial growth in the hair follicle. Argan Oil helps promote hair growth and increases shine and strength by infusing vitamins in the hair. It is a thicker oil. It actually penetrates the hair shaft to repair the hair and smooth the follicles promoting silkier, smoother, and shinier hair. Argan Oil is rich in Vitamin E and essential fatty acids, it is commonly called liquid gold and for good reason. Coconut oil is good for the hair because of the vitamins and fatty acids it contain. It is said to help prevent protein loss and it penetrates the hair shaft fairly easy which is why some people see results so quickly. But a word of warning, as good as coconut oil is, it may not be good for people with very dry, brittle, or coarse and curly hair. I know there are plenty videos about mixing oils for your hair. They have great blends so I did research to find which ones work best for me. This list of oils is just a beginning of all the oils available to help with hair growth. I'll be posting more updates on this subject and if you have tried some of the oils listed please post your comments/ results you achieved.